"I am glad to receive your letter appreciating Krishna Consciousness Movement. As stated by you, it is truly a happy movement. 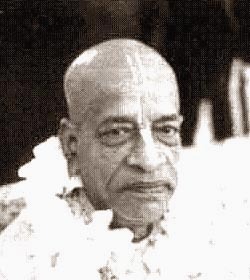 Lord Chaitanya said that the ocean of Krishna Consciousness increases daily and it is never experienced in the case of mundane ocean. In other words, nobody is static in Krishna Consciousness and everyone becomes a dynamic force for spreading the movement. It is understood that you have been in the Temple for not a very long time and still you have appreciated very much the spiritual movement. Try to read our book and you will advance more and more."